In 2014, the flower delivery industry was booming in the Middle East, as the region celebrated its exponential growth. On the fulfillment side of the equation, vendors were unable or unwilling to customize the gifting experience for the intended recipients. So Mo Ali and Bilal Hamdan founded 800Flower.ae to meet this untapped need and create an online ordering service that would be a one window solution for professional, romantic, and platonic gifting needs. After two years of running the digital customer acquisition side of the business in-house, the founders decided to hire a digital marketing agency. 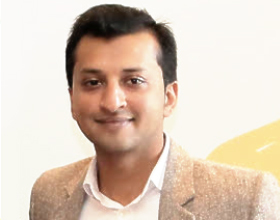 In the summer of 2016, Usman Khalid’s Centric DXB was hired to revamp digital strategies from a search and performance perspective. In the summer of 2016, Centric DXB was hired to help the business improve its rankings on SERP and increase net sales while growing organic traffic. Data gathered via online and offline mediums reflected one swelling idea, that “Everybody needs a Special Moment” and 800Flower will make it happen by customizing the gifting experience. 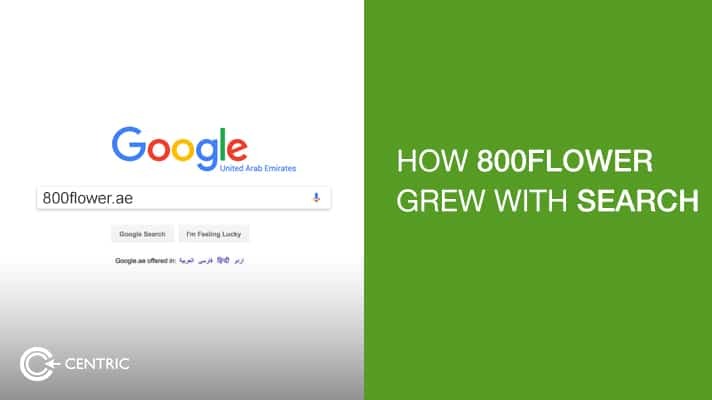 We set out to fix various issues pertaining to the search optimization of 800Flower.ae When we took over, the site had 831 referring pages. We initiated a Complete SEO Audit to look for broken links, meta tag issues, usability issues, internal and external links, the number of pages indexed in leading search engines, site loading time, site validation, social media presence and several hundred more on page elements. 8. increasing mentions of 800Flower.ae on relevant websites 9. understanding what 800Flower.ae was lacking in by conducting a competition audit, specifically looking at the above. 10. understanding what customers preferred by taking comments on forums and online communities. We improved the conversion rate by inserting crisp images, adding conversational content, assuring visitors that the site would protect their data by getting Truste and Norton certifications, highlighting different offers, giving prominence to the call to action, adding listings of complimentary products, adding live chat, and A/B testing color combination on fonts. We used C2 to design emailers that would segments audiences by their demographic, psychographic and behavioristic data points. So we able to identify who is a father, husband, single father, widow etc because of the data collected over time. We were also able to segment customers by occupation, income range, and location. In doing so, contextually relevant emailers would go out once a week to offer reasons to celebrate life, offer gift ideas & combinations, ways to bring back the spark in a relationship, tips for decorating an office space, ideas for Valentine’s Day, and so on.